Water bottle filled with water in the winter, and ice and water in the summer. Also some sort of sweet to boost my carbs when I start to feel low. I have had a mixed bag. Adams golf irons and hybrids, ping putter, and Taylormade Drive and fairway wood. Two days ago I was fitted for a new set of Cleveland Launcher HB irons. I cant't wait until they arrive! phedrick posted a topic in Balls, Carts/Bags, Apparel, Gear, Etc. When I first started playing, I jumped all around on the ball that I hit. Form the least expensive, to what I felt as the right ball for me. Currently I am hitting the Titleist Velocity, which I buy from online used ball vendors. When you buy in quantity, they are really not too badly priced. phedrick replied to Largobuc's topic in Balls, Carts/Bags, Apparel, Gear, Etc. phedrick replied to JYB's topic in Balls, Carts/Bags, Apparel, Gear, Etc. A set of Cleveland Launcher HB Irons. I had them fit, and they should arrive in about 10 days... can't wait! What is your personal goal for golf? To golf better today then I did yesterday. Wow, what a subject close to my heart. I as well have recently taken up the game again after many years, and I as well am having a difficult time finding golf partners. What I have concluded that golf, like other things in life are better when not alone , but even alone, it's better then none. phedrick replied to Gerald's topic in Balls, Carts/Bags, Apparel, Gear, Etc. So OK. I've played two rounds with my new Sun Mountain Four-5... LOVE IT! It is lightweight, has plenty of storage, and I just like the way it looks too. Time will tell how well it holds up, but as for now I cannot imagine wanting another bag. As an early Father's day gift, my wife gave me a Sun Mountain Four-5 this past weekend. I suppose she got the hint from my whining and telling her if I had this I would never want anything else ever again! LOL. Anyway, so for, I love the organization and the weight. I’ll let you know how it goes after this Saturday. Where do you buy your clubs? Always new or is it ok to go used? I have purchased used clubs through my golf teacher/pro; he knows local people who are selling clubs. I felt he knew me and my abilities and knew best what clubs would work for me at my current state of play. So far, I have purchased a Taylormade R7 Driver, a Cobra 9 wood, a set of Adamsgolf A3OS Idea Hybrids, and am considering a set of three Adams Tom Watson Wedges. So far, the clubs he has suggested to me have worked well. I know some day I will want a nice, new, shiny set, but for now as I learn, the used clubs are working great for me. I am looking for someone who would not mind playing with a newbie with an unknown handicap. My weekends are usually open and can, from time to time, find time for a quick 9 during the week. 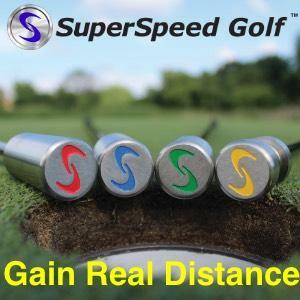 Looking for a golf buddy around the Shenandoah Valley of Virginia who wouldn't mid playing with a newbie with a very high handicap.